UPDATE, Aug. 22: After indictments are issued against the power ful county judge and a county commissioner, the TV station feels vindicated, Corey Hutchins reports for Columbia Journalism Review. The newspaper in a West Virginia county with a record of corruption has called out a television station for airing a news story about the latest investigation, saying the story was based purely on rumors. Since its editorial aimed at WCHS-TV, the Williamson Daily News has since run its own story on the alleged corruption. Citing unnamed sources, the Charleston station ran a story May 22 detailing how federal investigators had traveled to Mingo County to investigate local elected officials, including the county's only judge and a county commissioner. Sources said the investigation centered around election violations and other federal crimes. The newspaper immediately responded with an editorial entitled "Real journalists don't hide behind anonymous sources." While admitting there were rumors of corruption, it said that was all there was, and that no hard facts existed yet. "The job of a journalist is to find out what really happened," the editorial said. "If there is a story to be told about legitimate allegations against any of our county officials, you can be sure you’ll be able to read the facts in our news pages." The editorial did not name the station, but it gave a glimpse of how the newspaper practices community journalism: "We understand why it’s easy for television media to jump the gun on a potential big story. They don’t live in our community. They won’t see those that they’ve unjustly attacked at the grocery store or at a youth baseball game. It’s easy to hide behind anonymous sources when you are not invested in the community. But we are the local newspaper and we know we have a responsibility. We would never compromise our integrity just to be able to say we 'broke a story.' We want what’s best for our community and right now, what’s best, is not to perpetuate rumors." The Columbia Journalism Review took note of the controversy here. Agriculture and conservation organizations are asking the Federal Communications Commission to hold a public meeting about a planned incentive auction and subsequent channel re-pack that could leave many rural residents without access to local television programming, reports Andrew Dodson for TV News Check. Low-power TV stations, which mostly serve small, isolated towns, aren't eligible to participate in the auction, and won't be included in the FCC's database when the re-pack takes place, Dodson reported in an earlier story. Stations would be put in the lower end of the UHF band and given new channel assignments, cutting off television for many rural Americans whose only source of television news and entertainment comes from low-power TV. UPDATE, Aug. 30: The plant makes its first shipment to China, The Advance Yeoman, a local weekly, reports. We've often reported, most recently here, about the massive number of Asian carp wreaking havoc in the Ohio and Mississippi rivers by damaging sports fisheries and endangering boaters and skiers. Federal agencies have spent more than $200 million to stop the carp from getting into the Great Lakes, while states like Kentucky have been considering options such as commercializing the fish for animal feed and human consumption. Kentucky seems to have found a solution, by way of China. One day after a Chinese company agreed to buy Smithfield Foods in the biggest Chinese takeover of an American firm, a Chinese company is investing $2.5 million in Kentucky by opening the first American processing plant for Asian carp. The plant is in Wickliffe, where the Ohio meets the Mississippi, and at the center of the Asian carp population. (U.S. Geological Survey map) It is expected to create 50 jobs and process up to 10,000 pounds of fish per day, which will be shipped to Southeast Asia, reports Robert Bradfield for WPSD-TV in Paducah. UPDATE, July 27: "Asian carp are popular in China and the Far East, but have not caught on in the U.S.," writes Mary Potter of the West Kentucky Journal. "Part of the problem is confusion with the carp’s cousins, North American carp, that are bottom feeders and not worth eating. Asian carp are vegetarians and are considerably tastier." Some have suggested that the carp be sold as "silverfin." The Consumer Financial Protection Bureau is delaying for at least two years its redefinition of "rural counties" that make it easier for banks to write balloon mortgages to farmers and other rural customers, reports Stephen Koff for the The Plain Dealer in Cleveland. 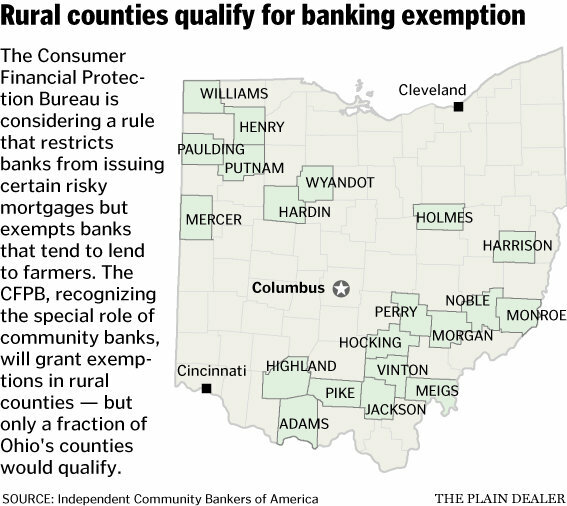 In Ohio, 44 counties are typically considered rural, but the CFPB only designated 20 as such. Our item on Koff's original story is here. During the two-year transition period, the bureau said it "intends to study whether the definitions of 'rural' or 'underserved' should be adjusted and to work with small creditors to transition to other types of products, such as adjustable-rate mortgages,” Koff reports. A state-by-state list of the county designations can be found here. 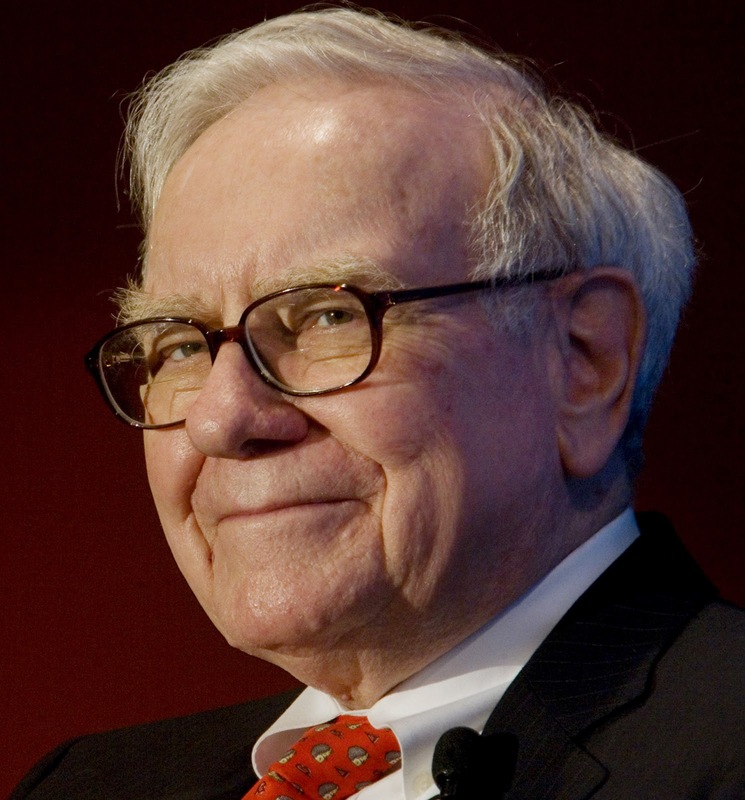 Billionaire Warren Buffett, the "Oracle of Omaha," continues to invest in newspapers. His BH Media Group is buying The Roanoke Times from Norfolk-based Landmark Media Enterprises, further expanding Buffett's holdings in Virginia. The purchase was the second from Landmark this year; the Berkshire Hathaway subsidiary bought the Greensboro News & Record in January. “Of the people who are buying newspapers now, I think Berkshire is the best home for The Roanoke Times,” Landmark Chairman and CEO Frank Batten Jr. said. “They are a reputable company, and they have good ethical standards. . . . They’re hard-nosed business people like everybody else, but I think they understand the value and the role of newspapers.” For the Times story, by Laurence Hammack, click here. Steve Jordon of the Omaha World-Herald notes that the Times "will be the 29th daily newspaper owned by BH Media, which also owns 40 newspapers published once, twice or three times a week, plus shoppers, monthly publications and regional magazines and related online publications. . . . Buffett, chairman and CEO of Berkshire, has been assembling a network of small and medium-sized newspapers since he bought The World-Herald in December 2011." Most were bought from Media General Corp. of Richmond, with heavy interests in Virginia and North Carolina. Here's a list. The deal leaves Landmark, which made billions selling The Weather Channel to NBC Universal, with The Virginian-Pilot in Norfolk and about 56 community newspapers, overseen from Shelbyville, Ky. It also owns KLAS-TV in Las Vegas. After a tornado last year devastated West Liberty, Ky., the Appalachian town of 3,500 began an initiative called Rebuilding West Liberty, which was designed to not only help re-build the town but to make it more energy-efficient and serve as a model for other towns looking to create sustainability and entrepreneurship. After the tornado killed seven people and destroyed 400 homes, businesses, and government structures, the community began rebuilding with energy-efficient and cost-effective techniques. At the conference Conley will provide insight on "rebuilding roughly half of the 300 residential homes that were lost to the storm," Miller writes. The solution West Liberty came up with was to construct "150 affordable, highly energy-efficient factory-built and site-built homes," Miller reports. "The three-year project includes a $27 million investment of equity, grants, debt and operating grants to complete the project in West Liberty and scale innovations piloted for other disaster response efforts and affordable housing projects for factory-built homes across the nation." To visit the Clinton Global Initiative site, click here. An Christian evangelical group has started a national campaign in support of immigration reform, saying it would respect the God-given rights of every person, protect families, build respect for the law, secure national borders, ensure fairness to taxpayers, and establish a path toward legal citizenship. In a conference call Thursday, the Evangelical Immigration Table introduced its $250,000 radio ad campaign that will run in 13 states: Alaska, Arizona, Florida, Georgia, Idaho, Kansas, Kentucky, Montana, North Carolina, Ohio, South Carolina, Tennessee and Texas. The group said it has also bought billboards, and will hold 60 events in 20 states. Many of the events will be prayer meetings, calling on people to pray for immigrants and Congress. "Our broken system is a moral issue," said Russell Moore, President-elect of the Southern Baptist Ethics & Religious Liberty Commission. "It's been a stain on our country for tool long. Now is the time to come together. We stand with our brothers in Christ for just and fair immigration reform." Eleven million undocumented workers will be affected by the immigration bill currently being considered in Congress. Lynn Hybels, co-founder of Willow Creek Community Church in South Barrington, Ill., said her church saw a need for services for the Spanish speaking community in the area, some of whom are in the country illegally. The experience brought her closer to the reality of the issue, she said. They talked about "economic hopelessness and despair that drew them to this country," she said. While talking about how hard they worked to make ends meet, she said they described a constant fear of being deported and separated from families, and that many said they wanted to do whatever it took to become "full contributing members of this society." Dan Krause, lead pastor of Chugach Covenant Church in Anchorage, Alaska, said, "God reminds his people to treat immigrants with justice and compassion, because the Hebrew people were immigrants too. Our job as Christians and Christian leaders is to love those who are here in Jesus's name." A recording of the conference call is here. The ads are here. It is illegal under federal law to transport or show a sored horse. Last year the Humane Society of the United States released undercover video of a well-known West Tennessee trainer beating and overseeing the soring of horses, and he was sentenced to jail. Boyd posted the statement on the group's website after its board declined to adopt a recommendation from the association’s executive committee to support a ban the use of “action” devices such as weights and chains and strengthen the federal Horse Protection Act. The program saves time, money and need for travel, Lawrence reports. For example, a doctor in Anchorage was able to show a patient's skin lesion to a dermatologist in Seattle, who ordered an immediate biopsy. The patient turned out to have melanoma, and within three weeks had surgery and it was fully excised. Without telemedicine, the procedure would have taken much longer, would have cost much more, and would have probably resulted in a plane trip. More than 23,000 coal miners and their families will lose all their health care benefits under a Wednesday ruling by a U.S. bankruptcy judge in the case of Patriot Coal. The company had asked the court to void its contract with the United Mine Workers of America, allowing Patriot to cut employee and retiree health care benefits, a move the company said would help it reorganize its finances. The ruling allows Patriot to void collective bargaining agreements with the union, terminate benefits for certain retirees and implement terms of its most recent proposals to the union, reports Greta Weiderman for the St. Louis Business Journal: "Patriot’s most recent offer to the UMWA includes a 35 percent equity stake in the reorganized coal company, profit sharing contributions up to a maximum of $300 million, and future proceeds from litigation and royalty payments going to a Voluntary Employee Beneficiary Association Trust." The UMWA plans to appeal the decision, reports Paul Nyden for The Charleston Gazette. UMWA President Cecil Roberts said, "As often happens under American bankruptcy law, the short-term interests of the company are valued more than the dedication and sacrifice of the workers, who actually produce the profits that make a company successful." Health care reform could have the biggest impact in places like western Alaska, where limited medical personnel cover large areas, and many towns are only accessible by plane or boat. Cutbacks are causing headaches for medical professionals, as well as citizens, in a state where health care costs are often higher than anywhere else. Providing proper care has become a major issue, and is forcing medical personnel to make tough decisions, and forcing some residents to seek health care in other states. The Yukon-Kuskokwim Health Corporation is struggling with proposed changes that might seem routine in other areas, but are less than routine in the vast areas of western Alaska, reports Kirk Johnson for The New York Times. The corporation covers a population of 28,000, mostly Native Americans, but the region is spread out over an area the size of Oregon. Doing something as simple as installing electronic medical records, which is part of the federal health care overhaul, is a difficult task, because computers in the facilities are run by generators, and the area often has brownouts and fuel shortages, reports Johnson. "Chinese meat producer Shuanghui International Holdings Ltd. agreed to acquire Smithfield Foods Inc. for about $4.7 billion, striking what would be the largest takeover of a U.S. company by a Chinese buyer — should it get past what is likely to be heavy regulatory scrutiny," Dana Cimilluca reports for The Wall Street Journal. There may be other bidders than the Chinese firm, which is also known as Shineway. Smithfield Chairman Joseph Luter told Cimilluca, "Lots of people love us. I'll leave it at that." The United Food and Commercial Workers, which represents 16,000 of Smithfield's 46,000 workers, many of them rural, said it favored the deal because it would leave current management and collective-bargaining agreements in place. The deal comes after a large Smithfield shareholder, Continental Grain Co., had urged the company to split itself up, notes Meghan Grebner of Brownfield. The move could give the coal industry a huge economic boost, but the proposal, which has been heavily criticized by residents and Native American tribes. When the publisher of The Rural Blog visited Bellingham last summer, no fewer than three different types of yard signs, apparently from different groups, opposed the port for a variety of community and environmental reasons. The Whatcom County Council will vote on two permits that need to be passed for the port to begin construction, reports Davenport. What makes it even more difficult for voters is that the council is designated as a "semi-judicial" body, meaning members can't disclose publicly how they will vote on the issue. President Obama's $4 billion fiscal 2014 request for rural electric cooperatives is designed to push the co-ops, which get about three-fourths of their electricity from the burning of coal, into using cleaner energy. It calls for $1 billion for upgrading fossil-fuel plants with environmentally friendly equipment and $3 billion for green energy projects. That's a big mistake that will hurt the poorest rural Americans the most, says Republican Sen. Roy Blunt of Missouri. Blunt, left, said he hopes the allocation is a “one-time mistake and [the co-ops] will survive and try to provide energy at the level they can provide it and people can afford,” reports reports Agri-Pulse, a Washington newsletter. Blunt said there isn't a high enough demand for bio-energy, especially in rural areas where "the last people to get the energy-efficient refrigerator, the last person to get insulation in the ceiling – they’re the ones affected the most." Agri-Pulse is subscription only, but a free trial is available here. As federal support continues to decline for programs that nourish young people in rural areas, one community in Michigan has created its own way for residents, especially youth, to flourish by raising millions of dollars to be put back into the community. The Barry Community Foundation provides resources for the rural county located smack dab between Grand Rapids, Battle Creek, Kalamazoo and Lansing, the cities where most Barry County residents work, reports Max Rose for the Daily Yonder. The foundation "has about 200 funds that made up more than $18 million in assets in 2011," reports Rose. And some of the funds come from grants written by high-school students on the foundation's Youth Advisory Council. Those students, in turn, teach elementary students how to write grants. The group's office is in an converted church, and makes some money by renting space to non-profit groups. The foundation helps to better the community in such ways as proposing a better location for the new library, left, and raising money to build it, Rose reports, and is involved in community awareness. When few people ran for local office, they worked to create job descriptions for each of the elected positions to generate more interest. Community foundations can be most useful in rural areas, which are less likely to have businesses and individuals that engage in philanthropy, and can be a trusted vehicle for residents or expatriates to leave bequests. In Barry's foundation is "an example of how a foundation’s role extends beyond grantmaking to becoming a community convener, capacity builder and policy advocate," Rose writes. Perhaps ironically, Barry County includes one of approximately 10 U.S. communities named Podunk, a name that entertainer George M. Cohan popularized as a monicker for a rural town. Wisconsin farmers have teamed up with researchers and firefighters to create an online pilot program that maps farm hazards, a move that will provide first responders immediate information of any stored chemicals and other hazards at the scene, reports M.L. Johnson for The Associated Press. Maps will also show where to disconnect power, and provide areas for potential sources of water. showing hazards on a farm near Pittsvile, Wis.
Pittsville Fire Chief Jerry Minor told Johnson, "We don't have a lot of incidents on farms. But when we do, they pose a real high threat to rescue personnel because of unfamiliarity with farms and all the hazards that are present." UPDATE, October 2013: The federal government is allowing premiums to be paid with prepaid debit cards. A new study says that if corrective action isn't taken, health-insurance companies could exclude 27 percent of qualifying Americans now eligible for premium-assistance tax credits under the health-reform law because they plan to require customers to pay premiums automatically through a bank account. Denying coverage to the more than 8 million "unbanked" Americans will undermine efforts to expand health coverage and equalize access to health care, says the report from tax service firm Jackson Hewitt. Another 20 percent are "underbanked," meaning they have accounts but prefer to use payday loans and other non-bank financial services. One in five households use check-cashing stores and money lenders instead of a traditional bank, says the Federal Deposit Insurance Corp. Most health plans accept a credit card for the first month’s premium payment and thereafter require monthly payment from a checking account. Federal officials are wary of taking action that might discourage insurance companies from participating in the state insurance exchanges, Varnet heard from current and former state health officers who have pressed the Department of Health and Human Services for a ruling. “I think there is a dawning awareness that this is a large problem,” Brian Haile told Sarah Varney of Kaiser Health News. Haile is senior vice president for health policy at Jackson Hewitt and has called on federal official to set a uniform standard requiring all insurers to accept all forms of payment. Alternative forms include credit cards or pre-paid debit cards that people without bank accounts often use. While health insurance companies are evaluating these options, no law requires them to accept all forms of payment, notes Varney. “I’ve not seen any specific guidance that says you have to be able to accept these types of payments,” Ray Smithberger, Cigna’s general manager of individual and family plans, told Sarah Kliff of The Washington Post. The Jackson Hewitt report calls for immediate action by federal policy makers to ensure insurers cannot discriminate against the 'unbanked' through their payment acceptance policies by creating a system-wide rule requiring all forms of payment must be accepted. "Given the dilemma presented to insurance companies by the strong financial incentives to discourage non-bank payment mechanisms, insurers are unlikely to resolve this issue without federal action," the report says. The Society of Professional Journalists, the Radio-Television-Digital News Association and probably other journalism groups are mounting an effort to get Congress to pass a federal shield law, creating a limited reporter's privilege to keep sources confidential, as most states have. They are asking their members to contact senators, because the legislation has passed the House but stalled in the Senate. 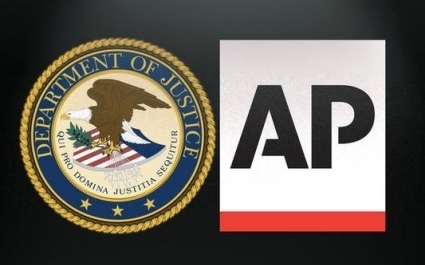 President Obama revived the issue in reaction to outrage from journalists about the Justice Department's search of telephone records of staffers of The Associated Press. The Institute for Rural Journalism and Community Issues, which publishes The Rural Blog, does not lobby, but we encourage journalists to make their views known to their elected representatives if they feel comfortable doing so. That's not lobbying, it's looking our for our professional interests, which should have a substantial overlap with the public interest. If you are uncomfortable with direct contact, perhaps you should write an editorial or column. The sites above have plenty of useful information on the issue. 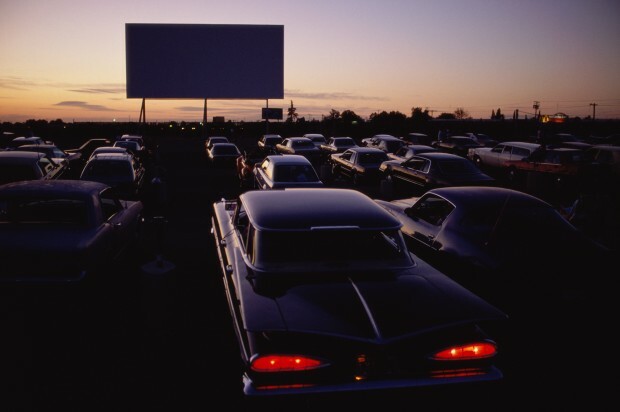 Summer is pretty much here in most of the nation, and the drive-in theaters have opened. But only 357 of them are left in the U.S., according to Drive-Ins.com, which has state-by-state data and a searchable database. That all adds up to a good feature story if you're a journalist with a drive-in nearby. And you might enjoy the movie more than you expect; at many theaters, the old squawk-box speakers have been replaced with high-quality audio via your FM radio. We tip our hat to Salon.com, which has a nice slide show of 12 drive-ins, including the Corral (Getty Images photo) in Guymon, Okla., which has been one of the few to reopen in recent years. Others include a theater that claims to be the largest in the world, one with six screens, the one with the largest screen in the U.S., and the oldest one in the country, in Orefield, Pa. Aquifers consisting of underground drinking water in the High Plains states have continued to decline in recent years, with some areas in Texas and Kansas suffering significantly. But a U.S. Geological Survey study released Thursday says the problem is nationwide, and that 40 aquifers have been seriously depleted, reports the Environmental News Service. Poor people in the U.S., many of them rural, will be hit hardest in states that refuse to expand Medicaid, leaving millions of people ineligible for government-subsidized health insurance, reports Robert Pear of The New York Times. More than half of the country's uninsured people live in states that are not expected to expand Medicaid, including Texas, Florida, Kansas, Alabama, Louisiana, Mississippi and Georgia, where "many people below the poverty line will be unable to get tax credits, Medicaid or other help with health insurance." About 25 million people will get insurance under the new law, according to the Congressional Budget Office, reports Pear. But the Urban Institute estimates "that 5.7 million uninsured adults with incomes below the poverty level could also gain coverage except that they live in states that are not expanding Medicaid." FEMA said budget cuts will leave more homeowners relying on maps that are not current. Maps in areas such as Vermont, which was hit hard by a hurricane in 2011, are decades out of date, reports Meyer. Suzanne Jiwani, a floodplain mapping engineer with the Minnesota Department of Natural Resources, told Meyer, "It is disconcerting to have counties and areas where people still have maps from the 1970s." Here's a good deal for rural journalists interested in health coverage (and if you're not interested, you probably should be): A free, one-day workshop, with the possibility of financial assistance for your travel. The offer is being made by the Association of Health Care Journalists, and the workshop will be in Birmingham on Friday, June 14. The program includes sessions on how health-care reform will affect rural health-care providers and patients, other challenges facing rural hospitals, the future of rural seniors, and the scourge of obesity and diabetes in rural areas. To register, simply join AHCJ. Breakfast and lunch will be provided at the event. Travel assistance, including lodging, is available for those who need it. More information on registration and travel assistance can be found here. Lawmakers in several states have already passed or shot down "ag-gag" laws, and the issue is on the upcoming agenda in a handful of other states. The main area of concern is undercover videotaping of livestock. Critics say the bills make it more difficult to expose animal abuse. Advocates say the bills protect the rights of livestock owners and meat processors. One thing the bills have done is spotlight a new breed of investigative citizen journalists who are being credited with bringing to light abuses by farmers and meatpackers. These undercover animal-rights activists gets jobs at factory-style farms or processing plants, secretly videotape incidents of abuse, then releasing video to news organizations, advocacy groups or straight to the Internet. "Since the Internet first granted activists a direct pipeline to the public, [animal-rights] groups have waged guerrilla war via undercover video," Pete Kotz reports for Westworld, a weekly newspaper in Denver. "Each time they've uploaded footage, Big Ag has struggled to explain away what Americans could see with their own eyes. Today, the guerrillas are winning." Tennessee Gov. Bill Haslam recently vetoed an "ag-gag" bill, and a similar bill was pulled from consideration in California. A Utah woman was arrested earlier this year for filming a slaughterhouse from a public street, but charges were later dropped. For state-by-state coverage of passed, or proposed "ag-gag" bills visit here.